I thoroughly enjoyed all five days of the WGC-Dell Technologies Match Play in Texas, but for a time on Saturday, I thought I was watching an episode of Men Behaving Badly. 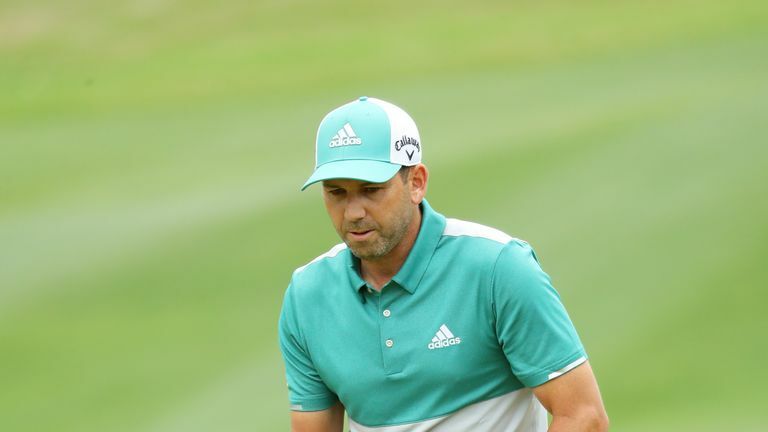 The fiasco on the seventh hole during the quarter-final between Sergio Garcia and Matt Kuchar was a mess for everyone concerned - and it got worse. Garcia's typically tiresome display of temper on the eighth was bad enough, but when the two players were seen in heated conversation on the 10th fairway, they looked to me like two kids arguing in a school playground. Nothing in this whole affair is about who was right. The only verdict available is who was less wrong. To those of you who are sticklers for the rules, that may seem harsh on Kuchar because, strictly speaking, he didn't do anything that contravened the laws of the game. He was quite clearly watching as Garcia missed his par putt before botching the tap-in, and, equally clearly, Sergio did not look up for a concession. Kuchar insists he had not verbally conceded and called on a referee to confirm the hole was lost by Garcia. Fair enough you might say, but here's the question. What would you have done? Before you answer, read the key sentence in the rule on concessions: "This can be done either verbally or by an action that clearly shows the player's intent to concede the stroke, the hole or the match (such as making a gesture)." I know what I would have done. I'd have counted my casual walk to the next tee as my concession, no words required, no referee consulted. What in fact happened, was both players reverted to type. Kuchar played up his now familiar "I've done nothing wrong" image and Garcia, as usual, turned into a whiny, angry, badly-behaved child. It's only a matter of months since Kuchar used the same defence for paying a Mexican caddie $5,000 from a first prize of $1.3m. More recently, Sergio had no defence whatsoever for his vandalism on the greens in Saudi Arabia. Their quarter-final meeting on Saturday was a match made in heaven knows what. Happily, 'concession-gate' didn't define the tournament. The dream match-up between Tiger Woods and Rory McIlroy was worth the years of waiting and Woods' defeat later in the day by Lucas Bjerregaard was yet another example of the unpredictable nature of match play. Wasn't it great after that match to hear Woods' reaction when a reporter suggested it was no bad thing to have Sunday off, and that Tiger was where he wanted to be ahead of the Masters? "No, I'm not," was the testy reply. "I wanted to play tomorrow so this is going to sting for a while." It was a revealing insight into how the top players now value this World Golf Championship, especially at such a wonderful match play course. Austin Country Club is, for me, the best venue the event has ever had, featuring so many holes demanding strategy over sheer strength. The visual impact of the holes on the back nine is also a key element for the image of the tournament and it was pleasing to see them eventually bathed in sunshine during the final on Sunday afternoon. OK, that final between Kevin Kisner and Matt Kuchar was not the one most of us would have been hoping for at the start of the week but that's the nature of the event. For years, I've been saying the best day of this event - in all its guises - is the Wednesday, when everyone is involved and anything can happen. Obviously, the round-robin format for the first three days has extended some of that excitement but from then on, the sudden-death matches on the weekend have no respect for reputations. That's why we sometimes have finals with less box office appeal than we'd hope. None of that takes away from a worthy champion in Kisner, the new darling of matchplay golf who might just have helped USA to a better result in Paris last September. There's something about this guy I've always liked. He's tough, he's poker-faced, and he's a man of few words. When he does speak, it's in the same South Carolina drawl as fellow Matchplay champion Dustin Johnson. I'd love to see these two as a couple of gunslingers in a Western movie - Johnson, the big, hard Clint Eastwood type, and Kisner, the tough little guy in the mould of Charles Bronson. Now, there's two guys who'd stand no nonsense from Sergio Garcia and Matt Kuchar.